Welcome friends and welcome June! It’s so good to see you both back so soon. This month marks the start movie nights in the backyard, barbecues with close friends and family and more days of sleeping in. If only I could dismiss that darn alarm clock on work days, I’d have nothing to complain about. If you are stopping by from Krista’s lovely home at The Happy Housie, I’m so glad you’re here! Today, I’m joining several bloggers to share simple ways we’re decorating our homes for summer. I’m throwing in a few easy ways to get your home decorated for this warm weather season along the way. Special thanks to my friends Krista at The Happy Housie and April from House by Hoff for organizing this event. Be sure to check out all the lovely homes linked at the bottom of this post! If it’s your first time here, let me give you a little background. My husband, Jason, and I are renovating our 1915 bungalow located in the upstate of South Carolina. We both love old houses, remodeling and a good design challenge. 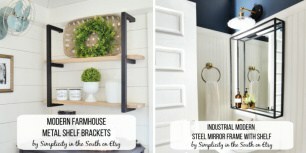 My design style is a mixture of what I’d describe as cozy, cottage farmhouse. So, without further ado… let’s start at the front porch, shall we? I don’t have the time to be as crafty as I used to be so when I’m in the mood to make something, it better be quick and easy. 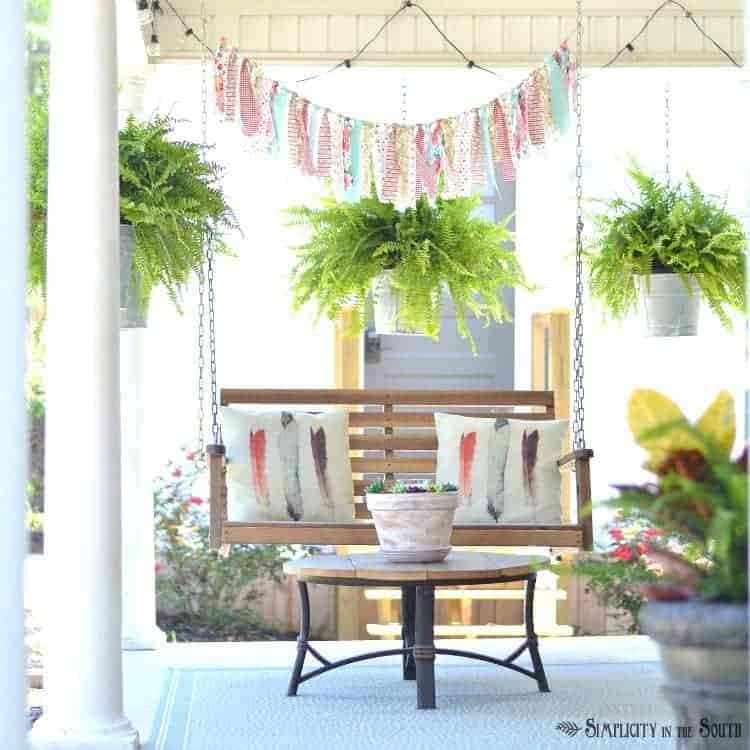 I made this rag and ribbon bunting over the porch swing using this tutorial in about 3o minutes. 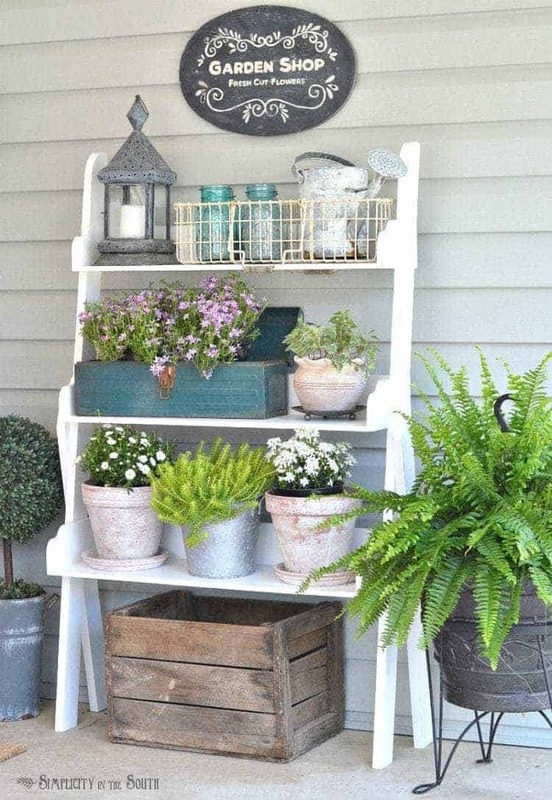 It adds a bit of color and whimsy to the front porch. 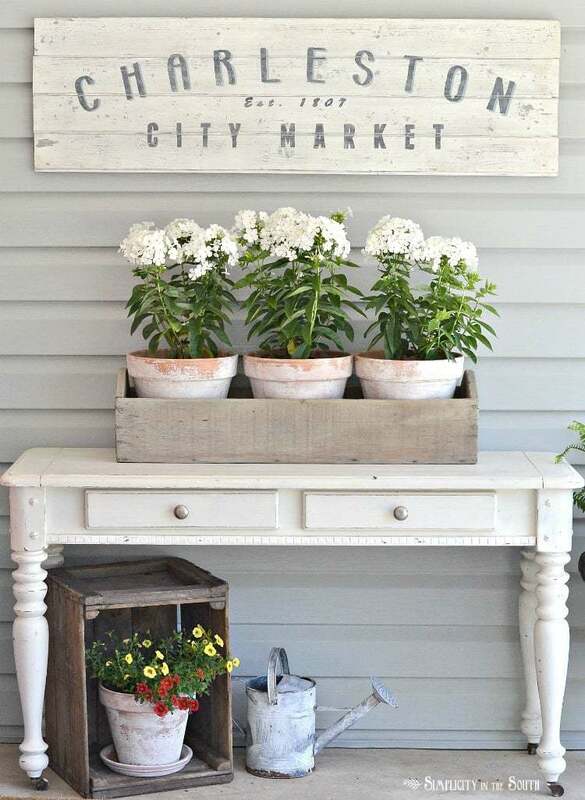 I added a tutorial on how I made the aged galvanized hanging pail planters here. 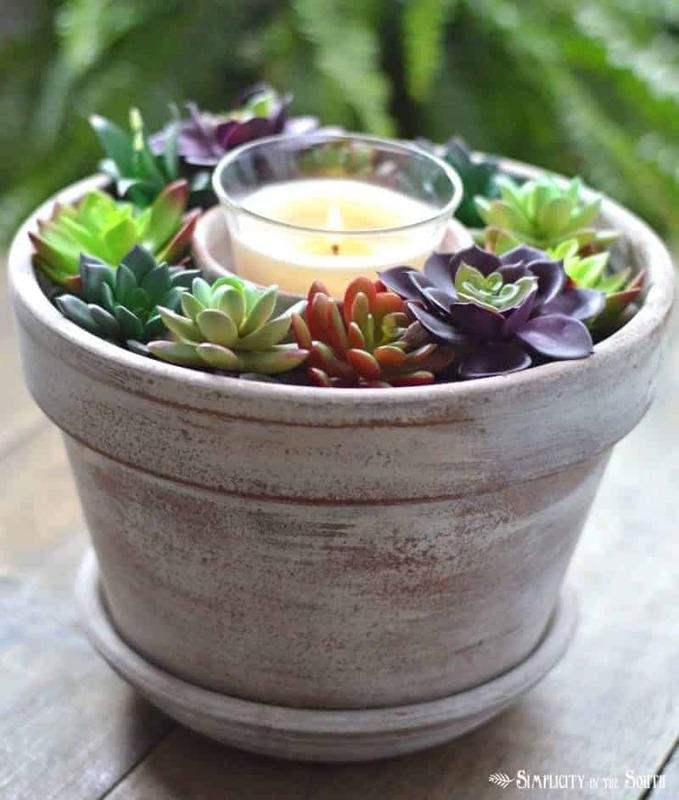 I picked up a few items from the Dollar Tree and made a faux succulent candle centerpiece inside one of my DIY aged terracotta pots. Those pots have made it through more seasons than any of my plants ever will. Although I tried to let go of some things at our last yard sale, I’ve clung tightly to my dear vintage inspired Charleston sign that I made several years ago. I promised Jason that if I could keep it, I’d used it. So, here goes to promises kept. 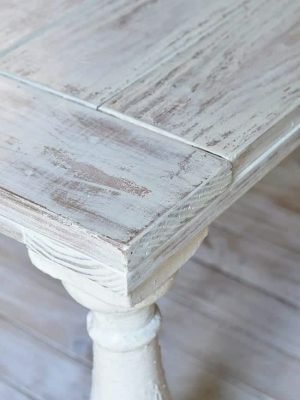 It looks lovely over the table I snagged then painted from Habitat for Humanity for $20. On top of the table, I placed some potted phlox in a vintage tool caddy. Right off the porch is the tiny shed that we made into a guest cottage just last month. This is how the shed looked just a couple months ago. While my heart is usually drawn to a fairly neutral palette, the touch of blue in this space makes it feel like summer to me. 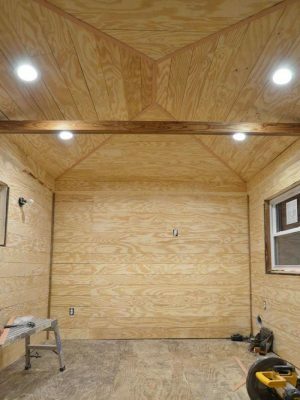 Click here to see the rest of the pictures. I promise you’ll love all the details we put into it. I haven’t changed much in the entryway since the spring tour. I swapped out the vintage blue fan and colorful flowers for a more neutral display of white hydrangeas and my favorite black and white photographs. Nothing says summer quite like flowers, right? 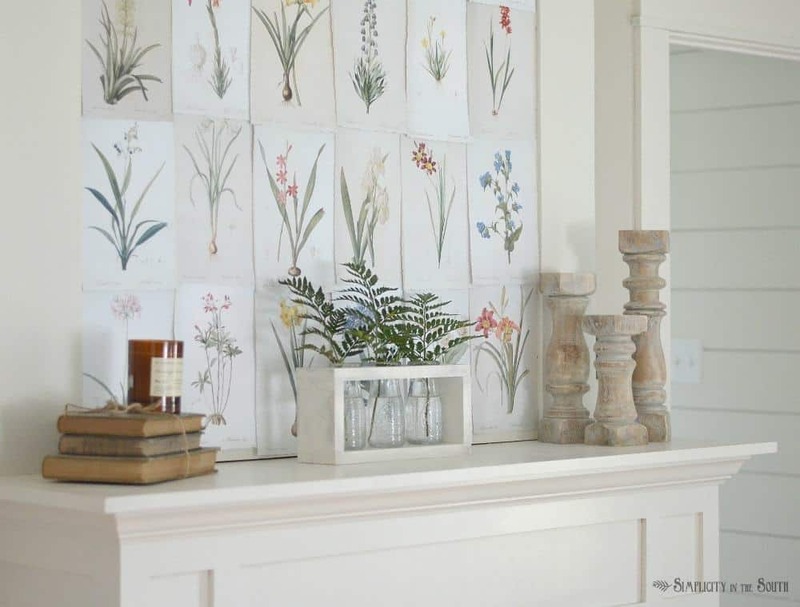 So, above the mantle in the master bedroom, I placed an arrangement of free botanical printables. 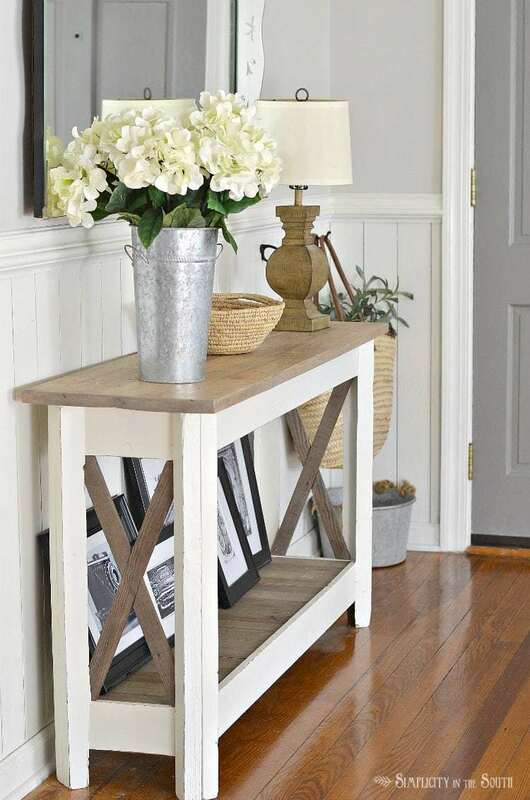 I love being able to keep fresh flowers or greenery on display, so I made a farmhouse style milk bottle vase holder that I can keep on the mantle or use as a centerpiece when we have company. 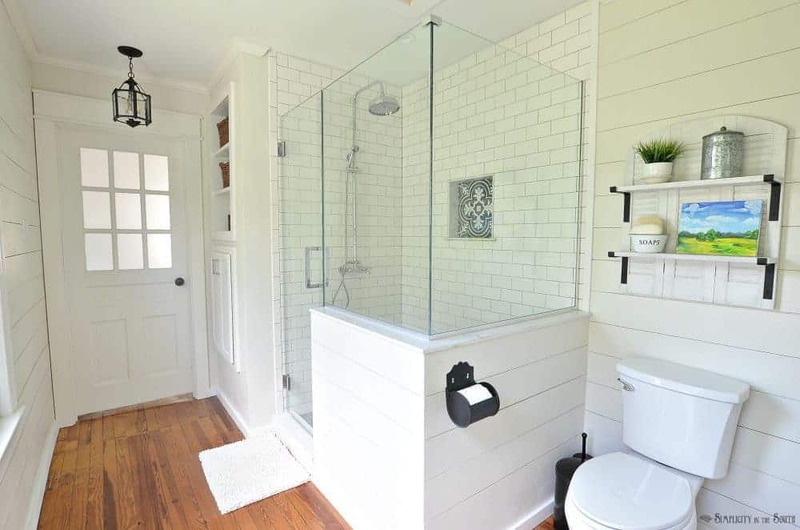 Just yesterday, I shared our modern farmhouse master bathroom reveal. We spent several months turning this room from a spare bedroom into an en suite bathroom and 2 other spaces that we’ll be revealing soon. There’s a new sense of calm in the house now that another big project has been complete. Jason made the landscape oil painting on the shelf and it brings just the right amount of color into this room. I hope you enjoyed my little summer home tour and I hope even more that you enjoy these last couple of weeks of cool, spring evenings till the warmer weather arrives. Now, it’s time to head over to Sonya’s beautiful home at At HOME With The Barkers. You can check out my spring home tour by clicking here or on the picture below. 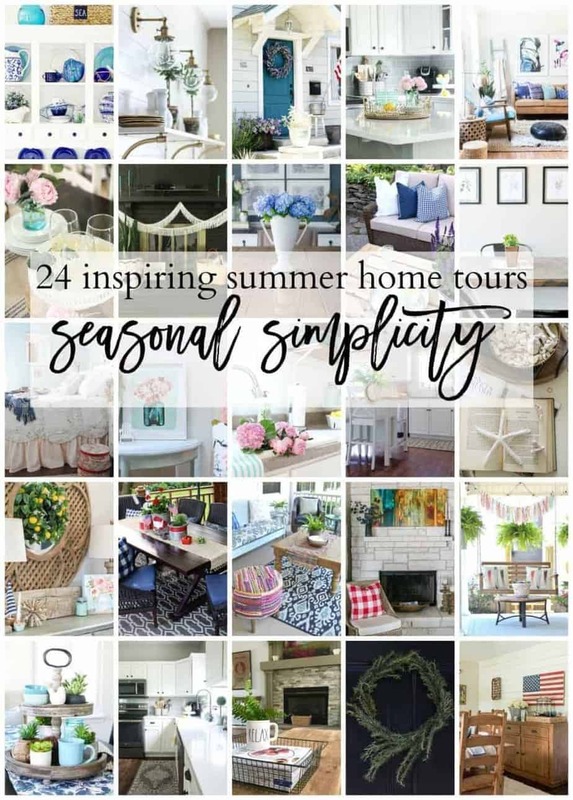 Be sure to check out all the other homes on the tour for some serious summer inspiration! I’m new to your site. Looks like a lot of fun ideas. Thanks! Just a suggestion: the big Pinterest logo on each post often blocks things I would like to see. It would be much better if they were put in very bottom left corner. I just often pass when it’s covering something. Thanks. Love everything else. Thank you, Joette! I always appreciate suggestions for improvement. I just changed the position of the Pinterest logo to the bottom left of the pictures. Hope you have a wonderful July 4th holiday! Love the neutral color palette! Who can ever go wrong with getting things at the dollar tree? It’s my favorite store for the little home items. Every inch of your house is perfection! 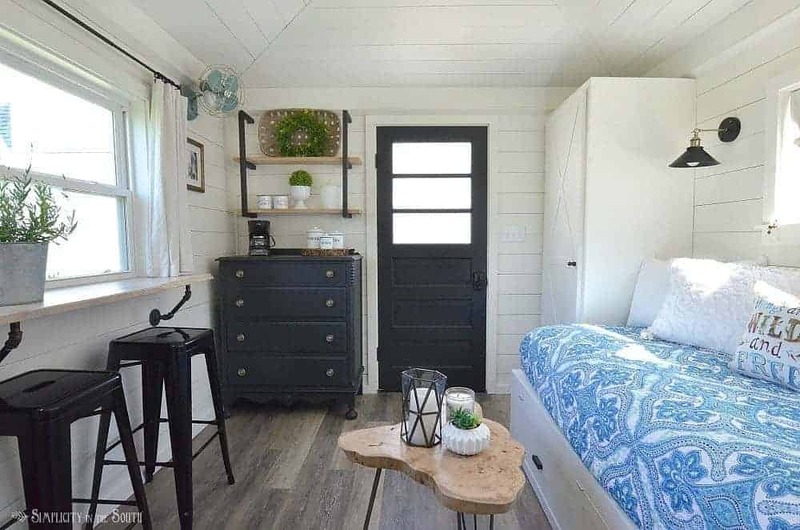 I am obsessed with that little guest house!! I adore your porch! So inviting and perfect for summer! What a transformation for your guest cottage. It is so lovely and inviting! 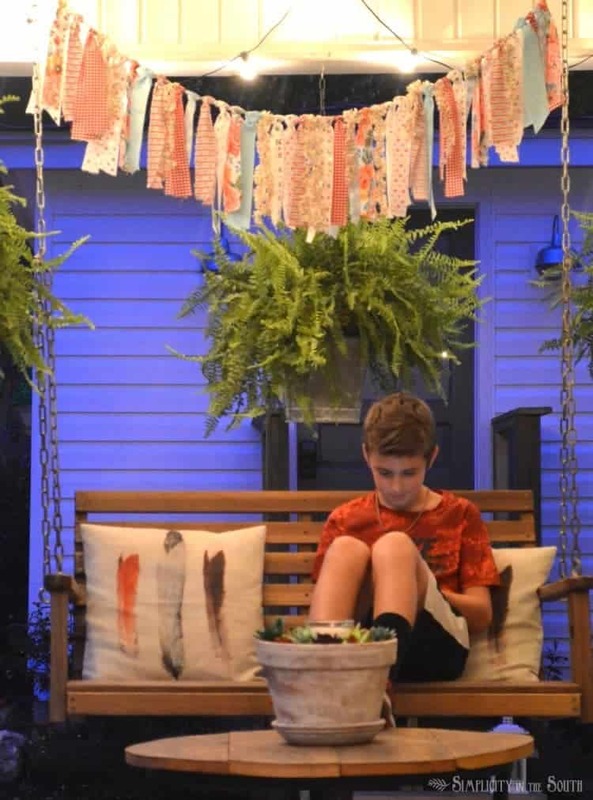 Tricia, your porch is summer perfection! 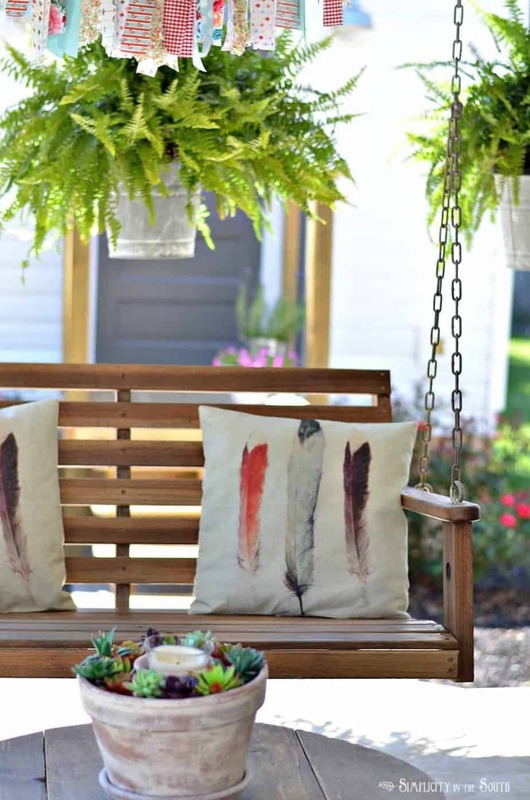 Love the swing and the feather pillows! Tricia, your porch looks SO cozy and ready for summer. I can’t believe that’s your guest cottage! Love it all! 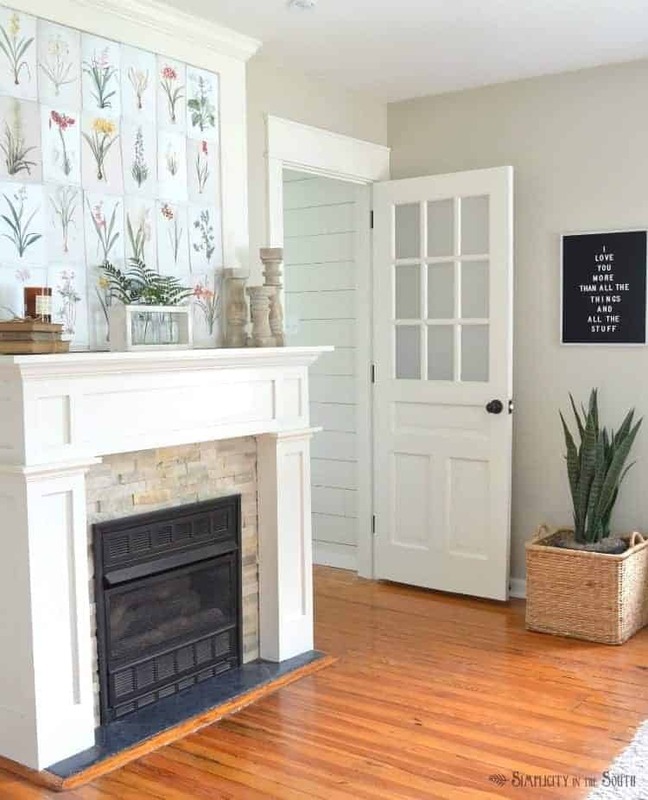 Your guest cottage is so pretty – what an amazing transformation! I loved seeing the rest of your pretty home too! Beautiful, Tricia! I can’t believe that guest cottage! Wow! And those free botanicals on the mantel are so pretty!! Lovely tour:) Enjoy the summer! Thank you so much for stopping by, Krista! I really appreciate you allowing me to be a part of the summer home tours. Your kitchen is such a lovely space! Tricia, your porch looks SO inviting and pretty for summer. Actually, your whole house looks pretty darn awesome! Love it all! Thank you, April! I’m glad you liked it. Thank you again for letting me be a part of such talented ladies on this tour! Beautiful home, Tricia! 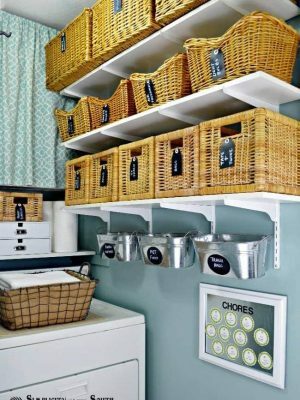 Love the DIY bunting and your master bathroom remodel is unbelievable! Thank you, Jen! Between getting the home ready for the summer tour and finishing up the last details on the bathroom, we’ve had a busy week but it’s been worth it now that it’s all done. Now it’s time to sit on the porch and relax. Beautiful! I love your bathroom renovation. Thank you so much! It’s been so nice to finally walk in and see it complete. Even better, we don’t have to walk down the hall to get to the bathroom any longer. i just love your porch! it’s such a cheerful and welcoming space! your ribbon banner is adorable, too! Thank you, Cassie! With a home full of boys, I thought I needed a little something pink and girly in my life and the ribbon banner seemed perfect for that. Glad you like it!